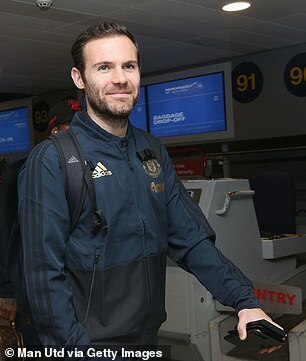 Manchester United stars arrived at Manchester Airport with the rest of the squad on Tuesday afternoon ahead of their flight to Valencia. The Red Devils have already secured their place in the knockout stages of the Champions League and, with a trip to Liverpool on Sunday in mind, manager Jose Mourinho may use the game as a chance to rest some first-team stars. That would give an opportunity to the likes of 17-year-old pair Greenwood and Garner at the Mestalla and they may well be poised to make their European bows on Wednesday night. 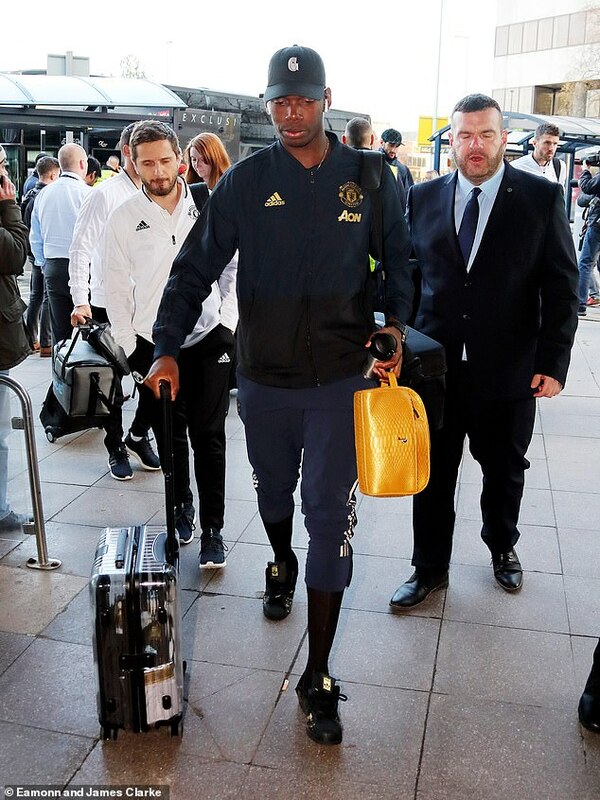 Mourinho led his side off the team bus and was followed by rookies Greenwood and Garner, along with some of the star names at Old Trafford such as Paul Pogba and Romelu Lukaku. Pogba will have a chance to impress and regain his regular starting spot after falling out of favour in recent weeks. Others such as club captain Antonio Valencia, who has been largely overlooked due to liking an Instagram post which called for the manager to be sacked earlier in the season, will also have his chance to stake his claim. However, rookie Garner, typically a midfielder but can be used at centre-back, does not turn 18 until March while striker Greenwood top scored for the Under-18s last season and is leading the way in the goal charts again. Both players were part of the squad on the pre-season summer tour of the United States and have represented England at youth level. The pair had earlier trained with the squad on Tuesday morning as Mourinho finalised his plans for the clash at the Mestalla. 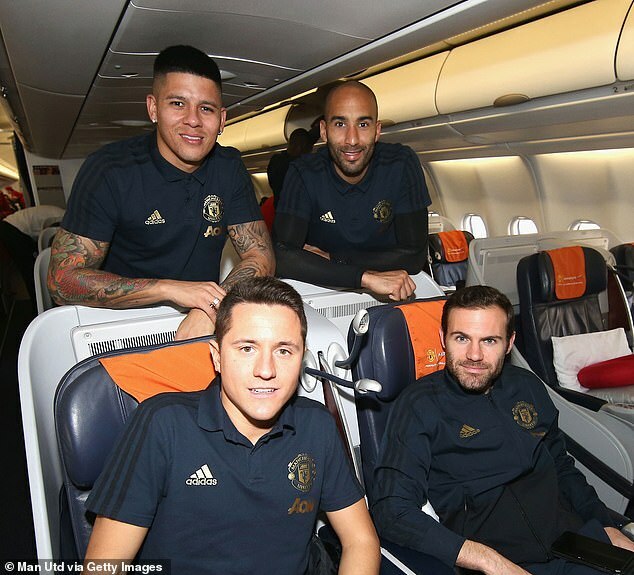 It is set to be a busy day for Mourinho and his players; they trained early on Tuesday before embarking on the flight to Spain and the manager has a media conference booked in for later on in the evening. Now, then, attention turns to trying to get top spot – with Juventus currently holding first place and a likely easier route to the quarter-finals. United will have to beat Valencia at the Mestalla and hope that Cristiano Ronaldo and Juve slip up against Young Boys.